Once upon a time there was a pretty little girl named Olivia. 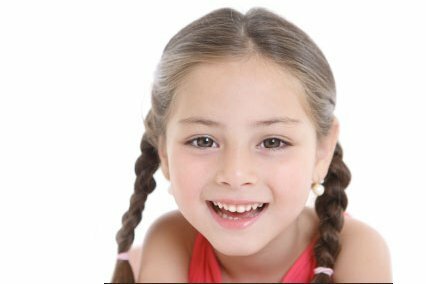 She had big, beautiful brown eyes and wild brown hair which her mother kept tame by plaiting it into two thick braids. You may have heard of Olivia if you read another bedtime story called “The Un-Magical Kingdom”, (although she had only a minor role in that story). At that time, she met some wonderful children from a magical kingdom who lived in a magical world, and this made her quite envious. Although her parents loved her very much, Olivia was often lonely because she had no brothers and sisters to play with at home. She did have lots of friends at school, and often had play dates with them. But at the end of the day, there she was, home alone with no brothers or sisters and only her two (un-magical) parents to keep her company . This suggestion did not please Olivia at all, and she stomped away into her father’s den, her thick, brown braids bouncing smartly behind her. Her father was very busy working on bills and other boring, grown-up types of things, but he put down his papers when Olivia marched in. “Why, whatever is the matter, my little Chickadee?” he said, using her favorite pet name. “I want a brother or sister to play with, and I want one NOW!” she said, using her most obnoxious, high pitched voice. “Humph”, said Olivia, with her little arms crossed and her mouth set in a deep frown. Her small face was quite red. “Olivia, if only you knew how unattractive you look right now, you would not want your mother OR your friends to see you”, said her father somewhat sadly. “Probably tomorrow or the next day.” she added, and slammed the door to her room behind her. Then she promptly packed an Overnight-Runaway-Bag, just in case. Now at this point you are probably thinking to yourself, “Gee WHIZ! that little Olivia is a spoiled brat.”, and you would be somewhat correct in making that assumption. But as it is with all parents who have only one child, that child does seem to get quite a bit of attention and Olivia was no exception. Her parents discussed Olivia’s poor behavior later on that night, but because they just could not come up with a solution, her mother called Olivia’s best friend’s mother, to have a nice, long chat about this over a hot cup of tea. Since Olivia’s best friend Molly had 7 brothers and sisters, her mother thought this seemed like an excellent idea. Olivia’s father agreed, and they both went to bed that night, their hearts much lighter and their sleep much sounder. The next day (which just happened to be Friday), Olivia was told about the sleepover and was so excited that she raced around the house, zoomed up and down the stairs, flew in and out of the kitchen and in general drove her mother completely bananas. (Fortunately, her father was at work and completely missed out on this obnoxious behavior). 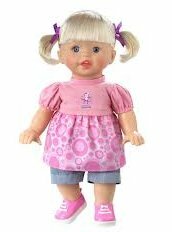 It was with huge relief to her parents that evening when they finally dropped Olivia, her overnight bag, her teddy bear Scribbles, her doll Polly and several other (completely unnecessary) toys off at her best friend Molly’s house. 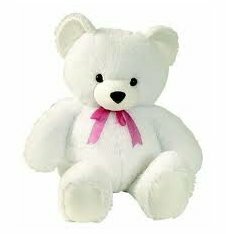 Josh, (the youngest), came right up to Olivia, smiled, grabbed her teddy bear Scribbles out of her hand and zoomed up the stairs. Olivia was so shocked she didn’t even know what to say. Then Hailey (the second youngest) came over, smiled, and grabbed her doll Polly out of her hand. She also raced up the stairs. 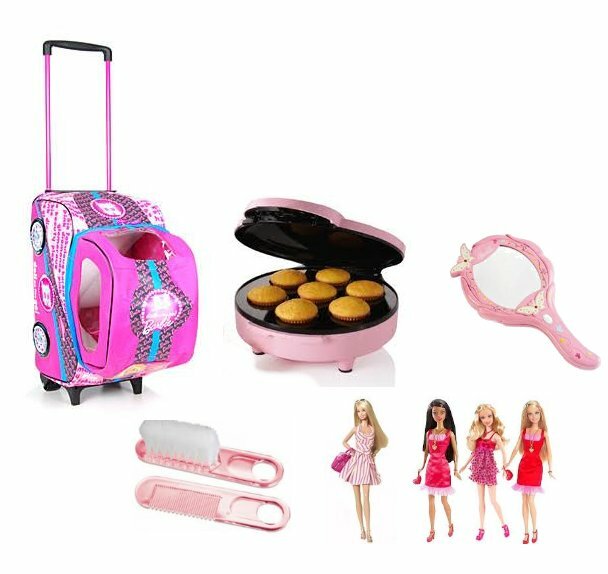 After that, it was a free for all, with Molly’s brothers and sisters pulling on her tight braids, opening her overnight bag, and playing with her hairbrush, mirror, Barbie dolls and Easy-Bake Cupcake Maker. (Why Olivia chose to bring an Easy Bake Cupcake Maker to a sleepover is beyond me.). Once Molly’s parents had restored order and returned Olivia’s belongings to her, everyone sat down for a delicious dinner of Tuna Noodle Casserole, with Hot Fudge Sundae's for dessert. Olivia was thrilled to see that there were no vegetables involved in this dinner and couldn’t wait to tell her parents about this. (Of course Molly’s mother, having 8 children, had cleverly learned early on how to hide vegetables in casseroles so that nobody would notice.) Then they were allowed to watch two TV shows before going to bed. 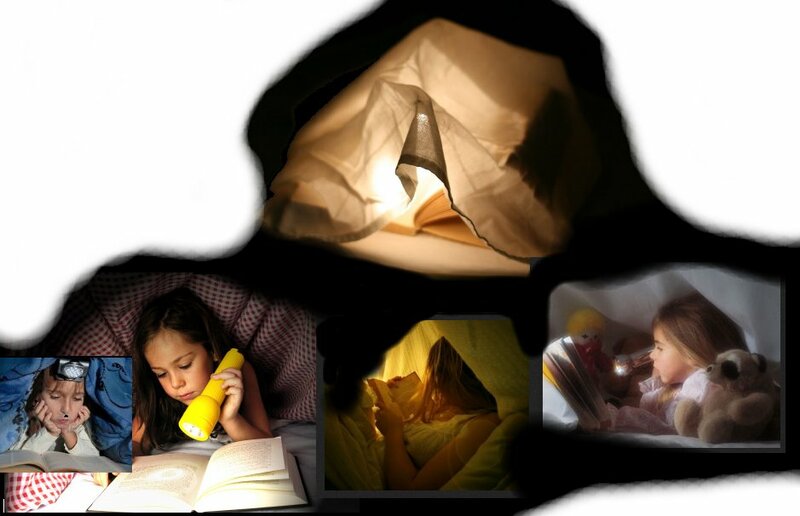 “Oh, Olivia, we’re going to have so much fun tonight; we can read under the covers with flashlights and eat candy!” Molly happily cried, and Olivia thought this sounded like a pretty good idea, too. But the minute they put on their PJ’s, found their favorite story books, got the candy out, turned on the flashlights and crawled under the blankets, wouldn't you know it Emma, Chloe and Hailey showed up, climbed onto the bed and decided that they, also, wanted to hide under the covers, read stories by flashlight and eat candy. Olivia was so delighted with all this company that she didn’t even notice that the boys were secretly planning a sneak attack. Out of nowhere, Ethan, Matthew, Nicholas and Josh suddenly roared into the room, jumped on the bed and pounced on every moving arm and leg they could feel under the covers. They were relentless and rude and screamed and cried out so loudly they sounded just like a herd of wild lions and tigers at the zoo. 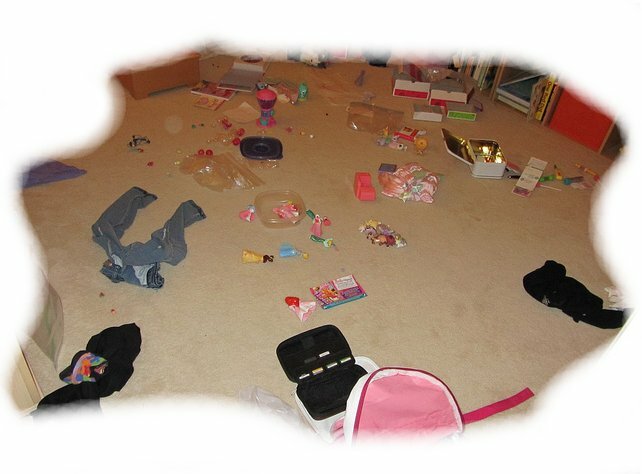 By the time Molly’s parents had come upstairs, Molly’s room was a complete disaster, with blankets, flashlights, story books, candy and children strewn everywhere. 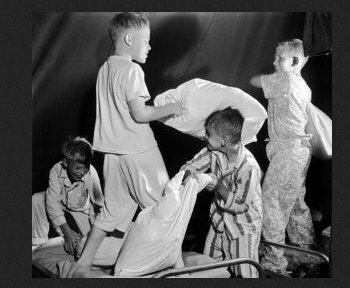 After giving the boys several swats each and the girls a long, boring lecture on “How to Treat Overnight Guests Properly”, Molly’s parents sternly sent everyone to brush their teeth and then go STRAIGHT TO BED. The next morning when Olivia’s parents came to pick her up, she was very quiet in the car. Olivia’s parents were somewhat shocked by this answer but they just smiled and drove their daughter home. When they arrived, the new Olivia made hot chocolate for herself and her father, a cup of tea with honey and lemon for her mother, she cleaned up the dishes, and she never complained. Would you like to read another of Olivia's adventures? Assumption - (ahh-SUMP-shun) The story said that if you, the reader, thought Olivia was being a brat, you would be correct in making that assumption. Now then....If you were to say I Assume, (ahh-SOOM) or I Assumed, that would mean you were guessing that something was possibly correct. 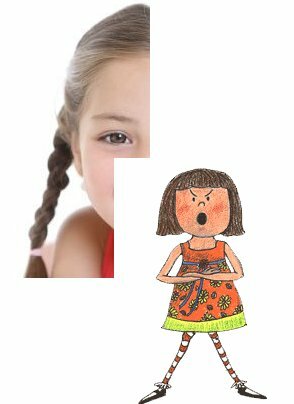 In this story, your Assumption, or your conclusion, based on seeing Olivia's perfectly awful behavior, means that in your own mind you had already decided she WAS behaving like a brat. Casserole-(CASS-uh-roll) A casserole, from the French word for "saucepan," is a large, deep dish which can be used both in the oven and then be transferred directly to the table for continued use as a serving dish. The word casserole is also used to describe the food cooked and served in such a dish. A casserole usually contains a number of different foods which taste quite good when combined, and cooked all together. 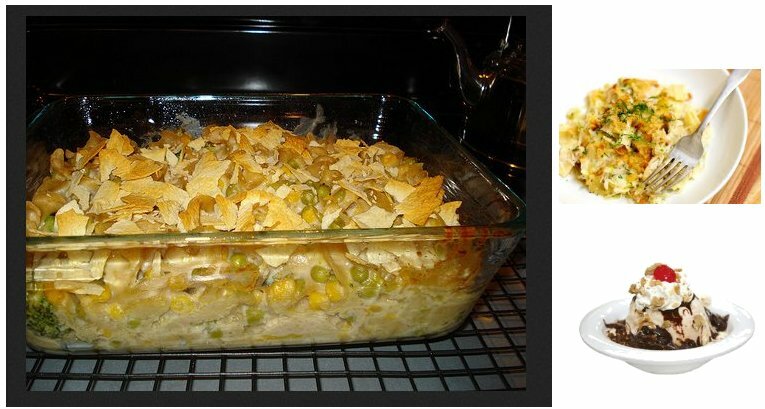 Tuna Noodle casserole is one example. That contains tuna fish, noodles, green peas, cream of mushroom soup, potato chips, and maybe even a few other things. Macaroni and Cheese with toasted bread crumbs on top could be another example of a casserole. 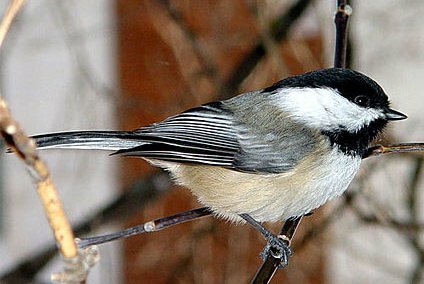 Chickadee - (CHIK-uh-dee) A Chickadee is a pretty little bird. In this story Olivia's father uses that as a pet name. Pet names are friendly words used in place of your real name. 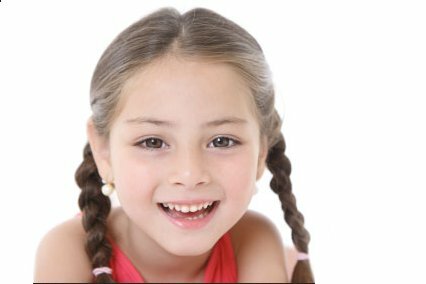 Sometimes grownups might call children pet names like "sweetheart," "honey," "silly-rabbit," "pussycat," "sugarbear," or something like that. Envious - (IN-vee-us) When Olivia was visited by children from a magical kingdom she felt happy because she had playmates. When they left to go home, she felt lonely, so she was experiencing an emotion, inside her head and inside her heart, that is called envy. Olivia wanted something she did not have. Wanting something she didn't have made her feel envious. It's much better to find the joy in what you already have, than to let yourself become angry and envious of something that somebody else has. Exception- (exx-SEP-shun) Everything but that one thing. The only one. Now then....The story said "only children" (meaning kids without brothers and sisters) seem to get quite a bit of attention and Olivia was no exception. If we were to say that everybody got to go to Disney World except Olivia, she would be the only one that couldn't go. If we said that everybody got to go to Disney World and Olivia was no exception, that would mean that Olivia was a part of the group that got to go to Disney World. So.... when the story said that "only children" seemed to get quite a bit of attention and Olivia was no exception, the author meant that Olivia was part of the same group of "only children" who received lots of attention. High pitched - (pitched rhymes with hitched, as in hitched a ride) Have you ever heard a little kid throw a tantrum? 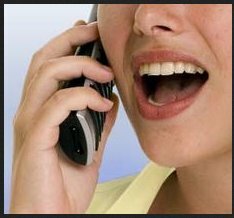 They start out whining in a normal tone of voice, then they start yelling, but still mostly in a normal tone of voice, only louder. Then they start stamping their feet and getting red in the face. Then their voice gets really, really, REALLY loud, and THEN they start screeching and screaming and squeaking at the very tippy top of their little lungs? Yep. That's the high-pitched part. Obnoxious - (ub-NOCK-shuss) Really, really, REALLY unpleasant. Something or someone so unpleasant and totally annoying that you just don't want to be anywhere near them. Spoiled rotten little kids who throw tantrums are totally obnoxious. Restored-(ree-storrrd) To restore is to put something back the way it used to be. Something that has been restored is something that's already been put back the way it used to be. Role - (rhymes with hole) A Role can be a job, or an assignment, or a part somebody plays. Minor - (MY-nor) This word has more than one meaning. A minor can mean someone young who is not yet a grownup, or it can also mean something small. Here's an example; If you were to fall down and skin your knee but all you ended up getting was a tiny little cut, you could say that you only received a minor injury. In this case the author mentioned that Olivia played a minor role in another story, The Un-Magical Kingdom. That means she played only a very small part in that story. Strewn- (strooon) Strewn means to spread widely, or to just toss stuff about, all over the place. Did you see the picture of that awful mess in Molly's room? Toys and clothes were strewn all over the floor.